Mellow sandstone steps leading to the upper part of this garden are a dominant feature, and a crucial to its structure. 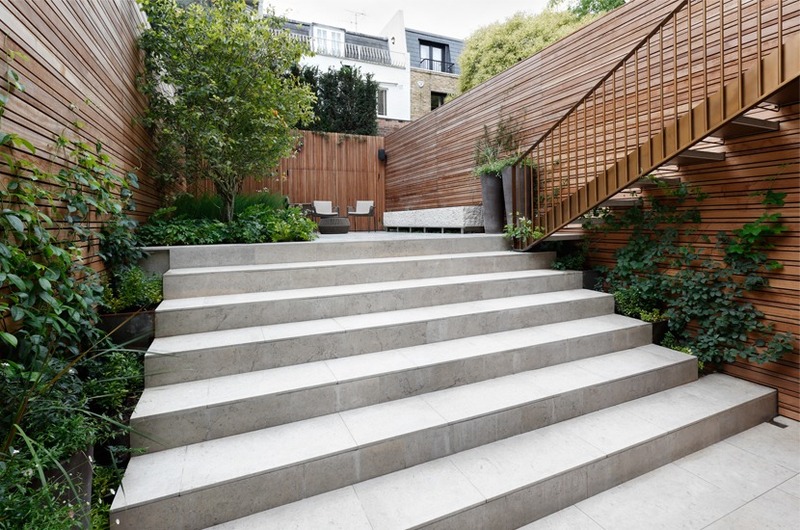 This made it especially important to integrate the steps with the overall planting scheme. 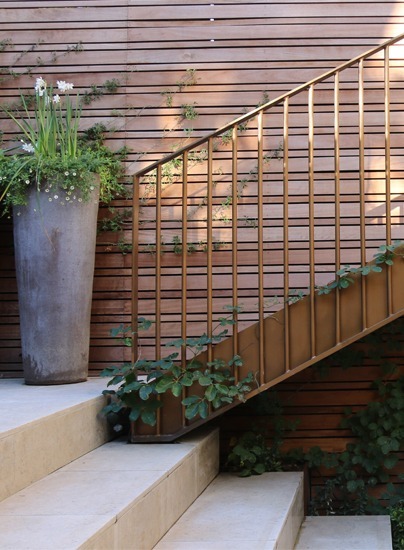 With this in mind, we allowed space for planting on both sides of the staircase, softening the edges of the steps and connecting the staircase to planting on the upper level. 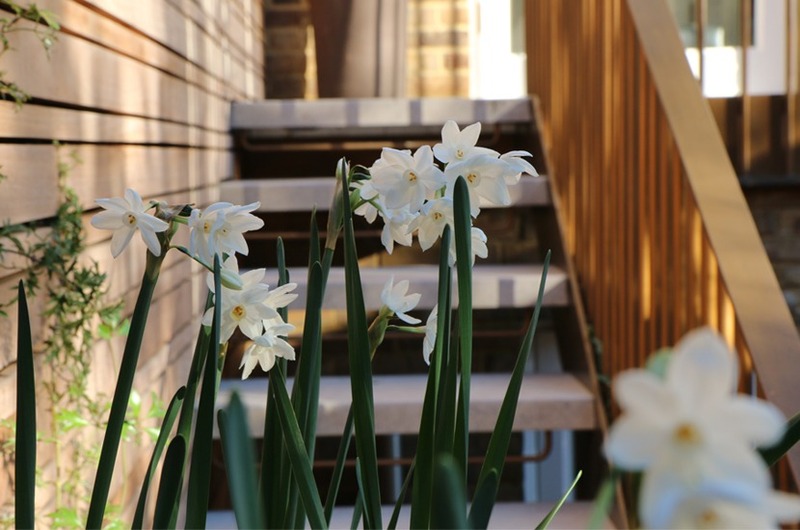 The evergreen jasmine scrambling up from these planting beds to the top of the fence allowed us to blend the lowest and highest points of the garden, creating natural continuity. 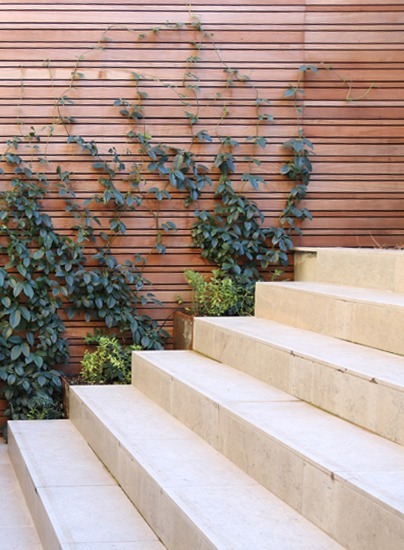 The sandstone steps are steps were accentuated by decorative lighting techniques using spotlights and downlights mounted on adjacent walls. 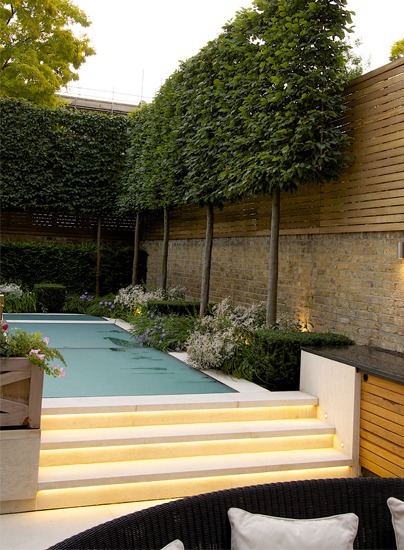 The specific step lights were incorporated in the lighting design to fulfil this function, which was both practical and safe for everyday use.